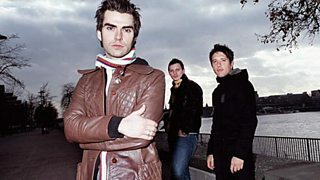 Stereophonics have parted company with their drummer Javier Weyler, a short statement posted yesterday on the group's official website confirms. Hi folks. We wanted to let you know Javier and the band will no longer be working together. The band enjoyed playing with Javier over the last eight years and his company was enjoyed by everyone in the Stereophonics family. We wish Javier every success going forward in his new creative endeavours and personal life. (Filling in temporarily for Javier on these next shows will be our friend Sam). We look forward to seeing you at the shows. The Argentinian drummer took up the position following the departure in 2004 of Stuart Cable.